Studio Cromie is a screenprinting studio and art gallery based in Grottaglie, in the south of Italy. The founder, Angelo Milano, was also the creator of FAME FESTIVAL, a self-financed illegal street art event. When he got bored, he began collaborating with different artists and randomly ended up in the fashion industry, creating the brand SANGUE. 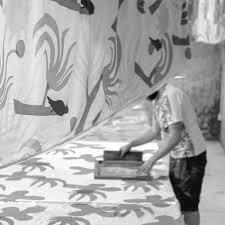 The workshop held during BedTalks will allow participants to create their own screenprinting experience.